If you like Kirby, youll like 10 Kirbys! Kirby returns to the DS in Kirby Mass Attack. 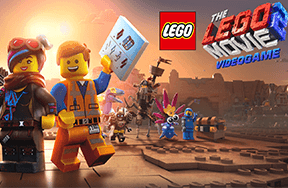 Read Kidzworlds game review for more details. The traditional Kirby game is a side-scrolling platformer where you can use Kirby's ability to inhale and copy enemy powers to help you get through the level. Kirby Mass Attack, however, changes up the formula by presenting a new game play mechanic — one that will have you playing with only your stylus and the touch screen! In the story for Kirby Mass Attack, Kirby was caught napping one day and was struck by a mischevious magic that split him into ten smaller and weaker Kirbys. Unable to use his powers, Kirby must rally together all of his other parts and brute force his way through each level until he can find a way to undo the spell. You get to play as Kirby's guiding heart, which is represented by the stylus on the touch screen. Using the stylus, you can guide the Kirbys through the level, throw them at objects, lift them over gaps, and command them to attack enemies. As you defeat enemies and break open objects, you will find fruits for the Kirbys to eat. If you collect enough, you will be granted another Kirby until you have all ten! With more Kirbys you can do more things at once or you can have them all do one thing much faster. However, each individual Kirby is still fairly weak. A single hit will turn them blue and a second hit will knock them out. Luckily, you can grab KO'd Kirbys before they float away and revive them. 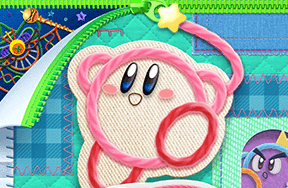 Along the way, you can collect medals and unlock lots of mini-games that feature Kirby and other characters from Popstar, such as the very fun pinball game, Brawl Ball. Overall, Kirby Mass Attack is a great game for everyone: both Kirby fans old and new. So, what do you think? Are ten Kirbys better than one? Would you rather play a traditional Kirby game? Have your say in the comments below!